Sorry aquarium lovers, but the two massive fish tanks at the St. George Ferry Terminal on Staten Island in New York City are no more. The tanks have been drained, the tropical fish distributed to private collectors, and an installation detailing SCAPE Landscape Architecture’s Living Breakwaters project has gone up in their stead. 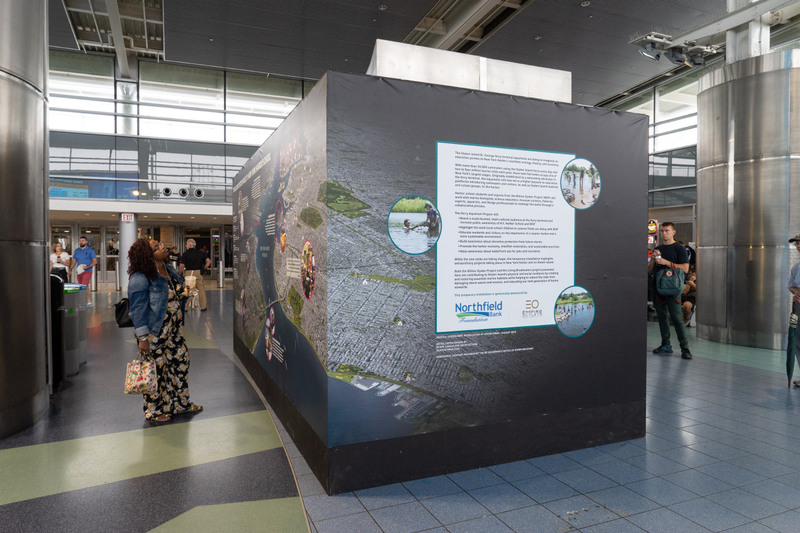 The SCAPE team has been working with the BOP and the Harbor School (a water-centric high school on Governor’s Island) to turn the project into an educational opportunity in the form of the newly installed infographics at St. George. 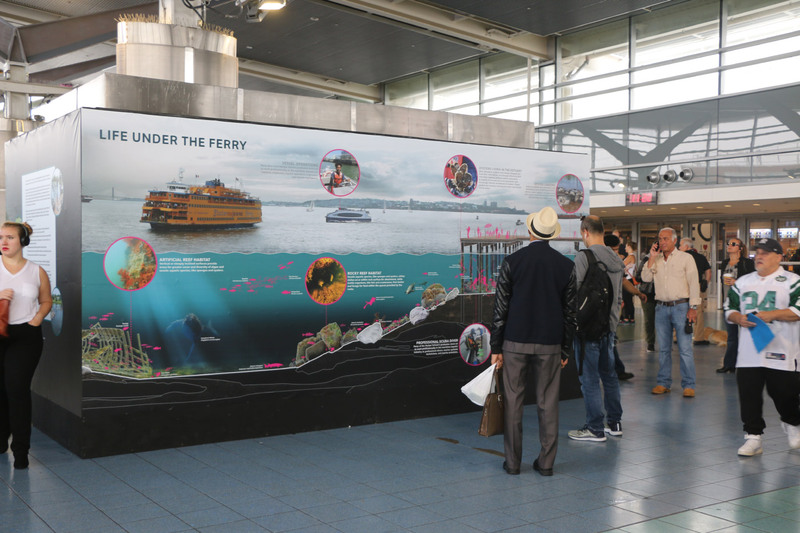 Information about the sea life under the route of the Staten Island Ferry, a breakdown of the schools and restaurants the BOP is working with, the ecological impact of Living Breakwaters, and more will greet ferry straphangers at the terminal for the next few months. 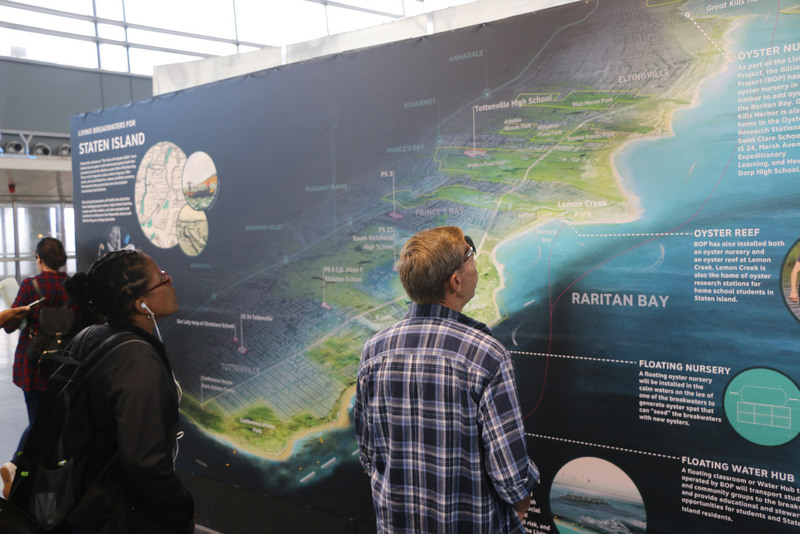 SCAPE founder Kate Orff was on hand at the unveiling of the terminal on September 12 and discussed how the two installations were divided into education and design—the confluence of the two being how large landscape architecture projects can move from concept to completion. The temporary installations were funded with a grant from the Northfield Bank Foundation.